In times of cultural flux and massive societal change, when societies are coming to terms with entirely new political realities the question of how to deal with the sins of the past can fall by the wayside. Often, the successor regimes are in precarious political positions that make any serious attempt to prosecute the offenders of the previous regime for crimes against humanity or any other human rights violations that may have occurred on their watch. Vast injustices were often committed under the strict authoritarian regimes of places like Argentina, South Africa, and Serbia, yet the perpetrators of the atrocities find themselves free of possible prosecution due to the relative security of their positions. The coupling of power transfer with some form of amnesty for the offending regime is particularly effective technique for ensuring freedom from punishment. But the moral imperatives is toward justice, some form of punishment under which the offenders must be held accountable for their crimes. If the position of the successor government is too precarious for any form of prosecution, then there is also the loss of a deterrent factor. When human rights offenders are confident in their impunity from the rule of law, there will likely be more human rights violations and genocides in the wake of future dictators. Not only is deterrence a concern, but there is also the problem coming to some form of legally legitimate form of censure and condemnation, a true notion of justice free from the constraints of victors' justice imposed from above. WriteWork contributors. 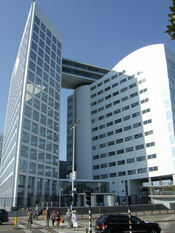 "International Criminal Justice Agency" WriteWork.com. WriteWork.com, 11 May, 2006. Web. 19 Apr. 2019. The Recent Developments In Governmental Security Services In Australia.